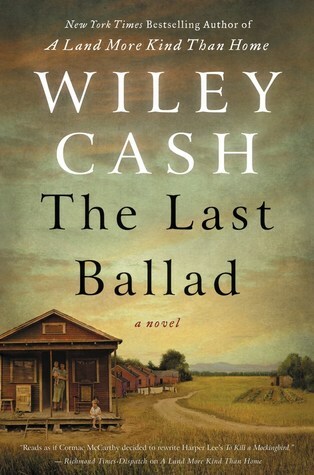 I have read all of Wiley Cash's books and I while I definitely enjoyed the first two, The Last Ballad, his third book, is definitely my favorite. The writing is so beautiful that I read the book slowly so I could savor his words. I felt like I was part of the action and could clearly see the scenes he set in this novel. The characters were so well done that I felt their pain as they worked to bring better pay and working conditions into the NC textile mills. This is a must-read book about an early history of not only the labor movement but also the women's and civil rights movements in our country. 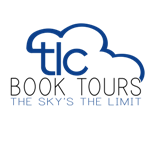 Amazon affiliate links are used on this site. A free book was provided for this review. My husband grew up in an NC mill village and his parents and grandparents before him all worked in textile mills. I used to hear family stories about working in the mills and often questioned how they felt about the mill owners. Without a pause, they all assured me that the owners were all part of the mill family and were doing their best for the workers. Coming from Detroit with a grandfather who was a union organizer in the 30s, I had trouble believing that the mill owner looked out for their best interests. This book was a real eye-opener for me and answered a lot of questions that I had - why my husband's grandparents moved to the city from farming in Tennessee, why the textile mills stayed non-union for so long and how the workers were treated in the mills. Beyond a personal interest in the story, I will tell you that this was one of the best, if not the best, book that I've read all year. The author's use of language is beautiful and helped create a beautiful, though violent, story. The main character Ella Mae Wiggins, who worked 72 hours a week for barely enough money to keep her children fed. Her husband has run off again and she is trying her best to keep her children fed and clothed even though it keeps her away from them for hours every day. When she sees a leaflet about the union, she decides to check it out to see if they can help provide her with a better life for her and her children and ends up as a crucial member of the drive to unionize the textile mills. The author uses a number of voices to tell the story but as they all come together at the end, the reader is left with sadness but more importantly, left with a feeling of pride and awe in Ella Mae Wiggins, a poor mill worker who tried to make a difference in her life and the lives of all of the other mill workers - both black and white - of the time. This is a beautiful book and I highly recommend. Not only was the book fantastic but it is based on real people and a real strike at Loray Mills in Gastonia, NC, in 1929 that seems to have been forgotten in the history books. There was a real Ella Mae Wiggins who was a mill worker that started working with the unions. Wiley Cash does a wonderful job of telling her story and the time she lived in. I highly recommend this book! I love that his books are just getting better and better!